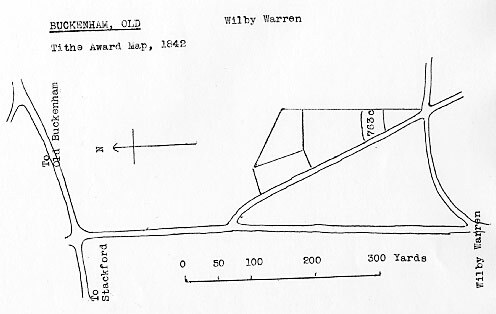 William Algar of Old Buckenham, Gent. Signatory to Notice re Increase in charges for Grist Grinding. An ESTATE situated in Old Buckenham consisting of an excellent dwelling house replete with every conveniency, yards, garden & about an acre of exceeding good land, together with a capital post windmill, boulting house, boulting mill, flour house & granary, now in the occupation of Mr. Wm. Limmer, the owner, who is going into another line of business. The premises are freehold, moderately assessed to the land tax, are in full trade & in the most complete repair. Apply to the said Mr. Limmer or to the Auctioneer at Attleborough. William Bowles was previously miller at Gt Ellingham postmill and later moved on to Hingham towermill & watermill. Lot 1. … Dwelling House with excellent Granaries, Stabling, Cart Lodge, Gig house & other requisite outbuildings & a large & productive Garden thereto adjoining. Also all the capital POST WINDMILL (in which a good trade has for many years been carried on) & two Inclosures of excellent Arable & Pasture Land containing together 2a. 3r. 30p. now in the occupation of Mr. Amos Potter adjoining Wilby Warren. Apply to Mr. Alexander Solr. Hingham & of the Auctioneer at his offices, Attleborough. Geo. W. Salter is favoured with instructions from Richard Reeve Esq. To sell by Auction without reserve at White Horse Inn, Old Buckenham Tuesday 1 May 1855 at 5 o’c in one Lot. Capital POST WIND MILL Situate near Wilby Warren & late in the occupation of Mr. James Hewett. Standing upon four brick pillars, fitted two spring & two common sails & driving two pairs of French stones & Flour Mill with all necessary going gears thereto, also Meal Bins, Mill Bills, Stone Wedge, Rollers & Lever, Beam Scales & Weights, Bolting Cloths, Flour Scuppets, Iron Wrenches, Iron Pot, Grindstone & Crank. Viewed on application to Robt. Daniels at the “Farm House” near the Mill. On an Ordnance map dated 1906 Warren House is shewn as "Mill House" & on the wall at one end are the initials "R.B." & the date 1768. This was probably the site of the mill belonging to the Robert Brown who is mentioned in the census of 1811. Mill House later became known as Warren House.